There is no need to put up with sleepless nights. Learning how to manage your sleep cycle might help you to finally get a good night's sleep. Tossing and turning in bed, you’re watching the time go by on your alarm clock. You’ve tried counting sheep and counting backwards. You even drank some warm milk. You’re wide-awake and wonder if you’ll ever fall asleep. Getting some quality sleep may seem like an impossible dream. But, you might be more in control than you think. Understanding your sleep cycle might make the difference between day and night. It may just help you to manage it and get a great night’s sleep. While you sleep, you go through several sleep cycles. Each sleep cycle consists of two main stages of sleep. When you’ve just fallen asleep you enter the first stage: non-rapid eye movement (NREM) sleep. 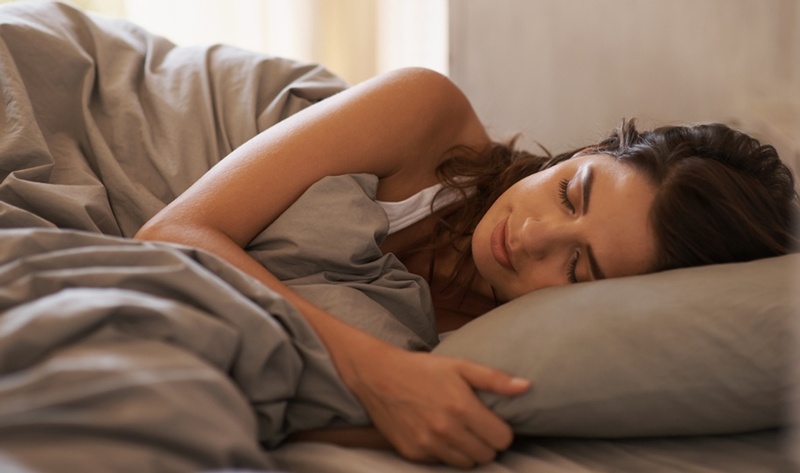 About 60 to 90 minutes later, your breathing will get slightly faster and your eyes may move rapidly.This means you’ve entered the second stage of your sleep cycle, which is called rapid eye movement (REM) sleep. It’s during this stage that you dream for about five to 30 minutes. What controls your sleep cycle? Your sleep cycles are controlled by your body’s biological “clock”. This clock is actually made up of pinhead-sized brain structures of about 20,000 brain cells. When it’s dark, these brain cells tell other parts of your brain to make the hormone melatonin. This hormone is what makes you feel sleepy. When it’s light, your biological clock signals to your brain to stop making this sleep hormone to get ready to wake up. How could you manage your sleep cycle? By giving your biological clock a hand to make - or stop making - melatonin, you may manage your sleep cycle. This is how you could help your biological clock and get a good night’s sleep. Avoid bright light before going to bed. Bright light may not only stop your brain from making melatonin – it could also make you feel less sleepy. A study published in the Journal of Physiology followed 52 people to investigate whether bright light affects the biological clock. The researchers asked most of these people to sit in a bright-lit room during the early night. Then, they measured the amount of melatonin in their blood. They also asked the participants to rate their sleepiness. The research team found that when people were surrounded by bright light, they barely made any melatonin. They also reported that these people felt less sleepy – even four hours after they were exposed to bright light. So, try to avoid bright lights before going to bed. This may help your brain to make melatonin and you to fall asleep sooner. The blue light that comes from your TV, computer, mobile, and other electronic devices may prevent you from falling asleep. A British study followed 22 people to investigate whether blue light in the evening can affect sleep. Before going to bed, these participants sat in front of a blue light for four hours. The researchers then measured the melatonin in their blood. Plus, they monitored their brain activity and eye movements. The team of researchers barely detected any melatonin in their blood when they watched the blue light. They also reported that it took them significantly longer to fall asleep. So, turning off your electronic devices at least one hour before going to bed may help you wind down and catch some ZZZ’s faster. Physical exercise may help to increase your melatonin levels, according to a study published in the Journal of Exercise Nutrition & Biochemistry. This study investigated whether exercise could affect the sleep. Forty people exercised either in- or outdoors during two weeks. These 30-minute exercise sessions consisted of moderate intensity walking or running. The researchers asked them how long it took to fall asleep. They also measured the amount of melatonin in their blood. The research team found that their blood contained significantly higher levels of melatonin after doing exercise. They also reported that these people fell a little faster asleep than before. This is good news, but don’t exercise too late at night. Researchers also suggest this may prevent your brain from making enough melatonin to stay asleep during the night.